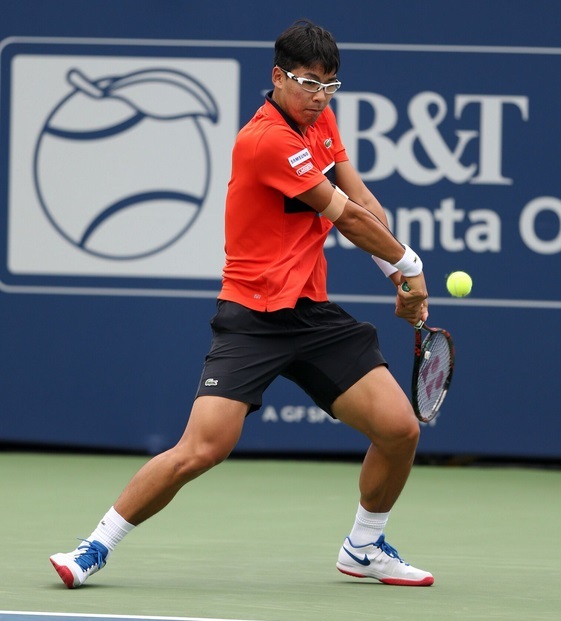 ATLANTA, July 12, 2018 – BB&T Atlanta Open Tournament Director Eddie Gonzalez announced on Thursday, July 12, that Hyeon Chung has accepted a wildcard into the singles draw of the 2018 BB&T Atlanta Open, held July 21-29, 2018, at Atlantic Station in Midtown Atlanta. "We are excited to welcome back Hyeon to Atlanta and the BB&T Atlanta Open," states BB&T Atlanta Open Tournament Director Eddie Gonzalez. "Not only is Hyeon the top ranked South Korean, top-25 in the world and the reigning NATP Next Gen Finals champion, but he's one of the best ballstrikers on tour and a semifinalist at this year's Australian Open." Chung, 22, is a native of Suwon, South Korea. He trained during his teenage years at the IMG Academy in Bradenton, Florida. This is the South Korean’s second appearance at the BB&T Atlanta Open (2017). In 2015, Chung received the ATP Most Improved Player Award, which is voted on by the players. Chung is 20-9 to date in 2018, with semifinal appearances in Melbourne and Munich. He has defeated the likes of Novak Djokovic, Tomas Berdych and Alexander Zverev this year. He is currently the highest ranked South Korean and also the reigning ATP Next Gen Finals champion. As an unseeded player, he became the first Korean player to reach a Grand Slam semifinal at the 2018 Australian Open. Chung joins the list of top ATP World Tour players in the 2018 BB&T Atlanta Open; John Isner, Jack Sock, Nick Kyrgios and the Bryan Brothers will all be in Atlanta. The BB&T Atlanta Open has welcomed more than 330,000 fans to Atlantic Station over the past eight years, establishing itself as one of the top ATP tennis events in the US. Tickets for the 2018 BB&T Atlanta Open and the Sloane Stephens vs. Madison Keys exhibition can be purchased online.